Well, it’s about time to say goodbye to the fella who made me desperate to live in New York long before I knew he wasn’t kidding about the rats and urine. There used to be a time when I wouldn’t miss a show, and there was even a time when I paid $400 as a broke college student to see him burst onstage mere weeks after quintuple bypass surgery. I still have the hospital bootie that I ripped off Robin Williams’ foot. I don’t have any real complaints about late-model Dave. I think it was by design that, in the last decade or so, his show went from unmissable to the kind of show you could dip in and out of at will. Whether it was his bypass, or the inevitable perspective that comes with growing older, he settled into being television’s reliable raconteur. I slept soundly knowing that I wasn’t missing any of the ambitious comedy set pieces that characterized his early years on CBS. This new Dave, this real Dave, sat at his desk and told stories. And let’s face it, I’d find them on YouTube eventually. 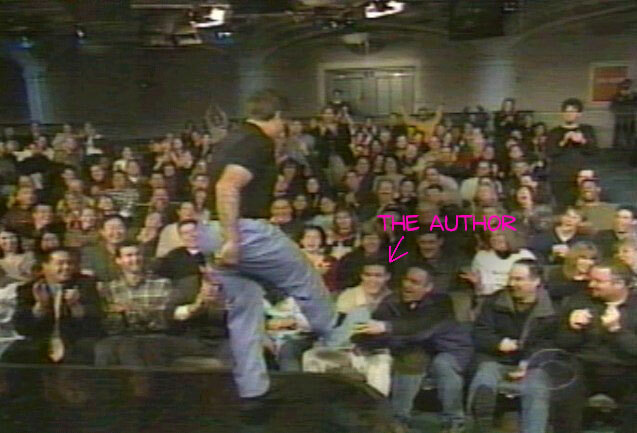 I first became aware of Letterman at age 13 or so. It’s a critical age. 13-year-olds who reveled in sports grew up bumping chests, and grunting, and thinking they were god’s gift to the ladies. 13-year-olds who excelled in Dungeons and Dragons became the arrogant IT guy you can’t live without. 13-year olds who taped Letterman and watched him before school became self-deprecating wise-asses. That may sound like a detriment, but believe me, there’s nothing better than laughing at myself, laughing at people, and laughing at the world. At age 37, I don’t need a talk show host to be my rudder. But if you’re ever offended by one of my snappy comebacks or sarcastic one-liners, you’d better believe I’ll blame Dave. And by blame, I mean thank. Thanks, Dave! Nice writing and great tribute!